Beat Suter has a ph.D. from the University of Zurich, Switzerland. 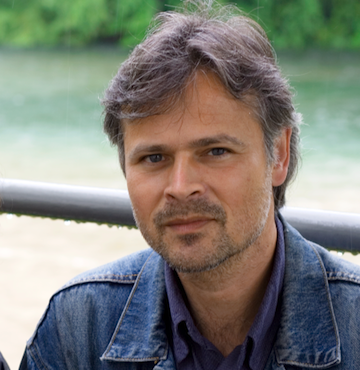 His thesis on hyperfiction (1999) was one of the first in the German speaking areas. He works as lecturer for game design at the University of the Arts Zurich, Switzerland and at the Merz Academy in Stuttgart, Germany. He also works as publisher of edition cyberfiction and co-publisher of netzliteratur.net. And he is founding member of the netart group and-or (www.and-or.ch).